Aviation weather on 6950 USB? 4/23/12, 6950 USB, 0215z: Aviation weather, Trenton military, seems identical to 6604 and 6754 aviation weather reports. Fair via east coast remote SDR, inaudible here at home. First time I've heard this on 6950. Re: Aviation weather on 6950 USB? Very interesting, I checked the SDR recording at 0215z, and nothing heard here in MD. Possibly a heterodyne image from something rusty and a local carrier? Hmm... you had it on the SDR-14, Lex? Curious that I didn't have it on the netSDR. I do wonder if i was some sort of mixing product or image, as cmradio suggested? I notice a spur/image/whatever from WWCR in the evenings on 6970, but I get it on both the netSDR and the NRD 545, so it seems to be "real" vs just heard on one radio. 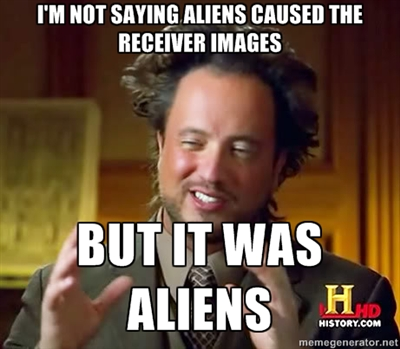 Yup, via the SDR-14. Didn't seem to be an image - that SDR seems bulletproof. I did wonder whether it was a spur. Haven't heard it on 6950 since that log the other day.